Are you staying on top of the latest updates from Microsoft Dynamics 365/CRM? The Version 9 (V9) Update is coming, and there’s a lot to go through in this major release. 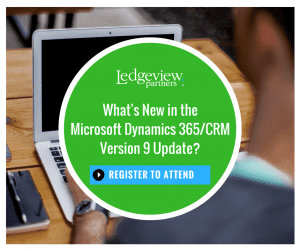 Keep on top of your Microsoft Dynamics 365/CRM game with Ledgeview Partners as your guide. Let Dynamics experts walk you through the most recent changes within the system, what’s to come, and the potential impact it may have on your current Dynamics 365 environment. 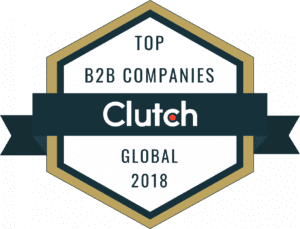 Knowing how to take advantage of the updates will help you further be able to optimize your Microsoft Dynamics 365/CRM system to better your business and user adoption. Make sure at least one representative from your company attends this webinar. If you have questions about the Microsoft Dynamics 365 V9 Update, need support, or update assistance please Contact Us and we are happy to answer all your questions.